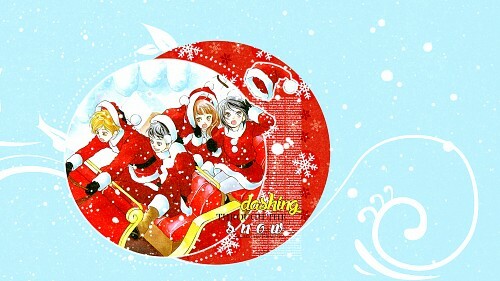 Omoi Omoware Furi Furare Wallpaper: Dashing through the Snow. Minitokyo »	Omoi Omoware Furi Furare Wallpapers » Omoi Omoware Furi Furare Wallpaper: Dashing through the Snow. Credits: http://obsidiandawn.com/, http://ransie3.deviantart.com/, http://aaronieroarruruerie.tumblr.com/, and http://www.dafont.com/.